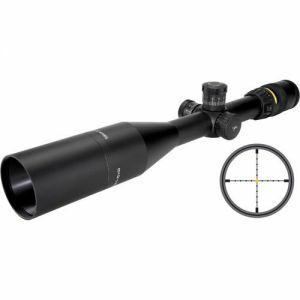 Model AccuPoint TR23-2 Trizhikon is intended for hunting big game at great distances, possibly with a target to fire 1200m. Designed to ensure accurate and efficient shot, even in extremely difficult conditions and in long hunting.Thanks to a unique tritium technology, amber lights, representing the point in the middle of Cross vane type Mil-dot, ensuring accurate targeting and optimal image clarity, no matter the degree of external illumination. Side parallax for precise alignment of the image.